Ages 7 to Adult / 2 to 6 Players The Waiting Room is full! The Ambulance has arrived! 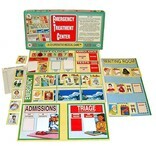 Get a bed ready in Emergency, bring in the special treatment cart! Yes, just another day in the E.T.C. We are a team of Doctors and Nurses handling various patients with injuries who come into the Emergency Treatment Center. How many will we be able to treat within our 8-hour work shift? Everybody, if we work like a skilled, well-trained team with big compassionate hearts. 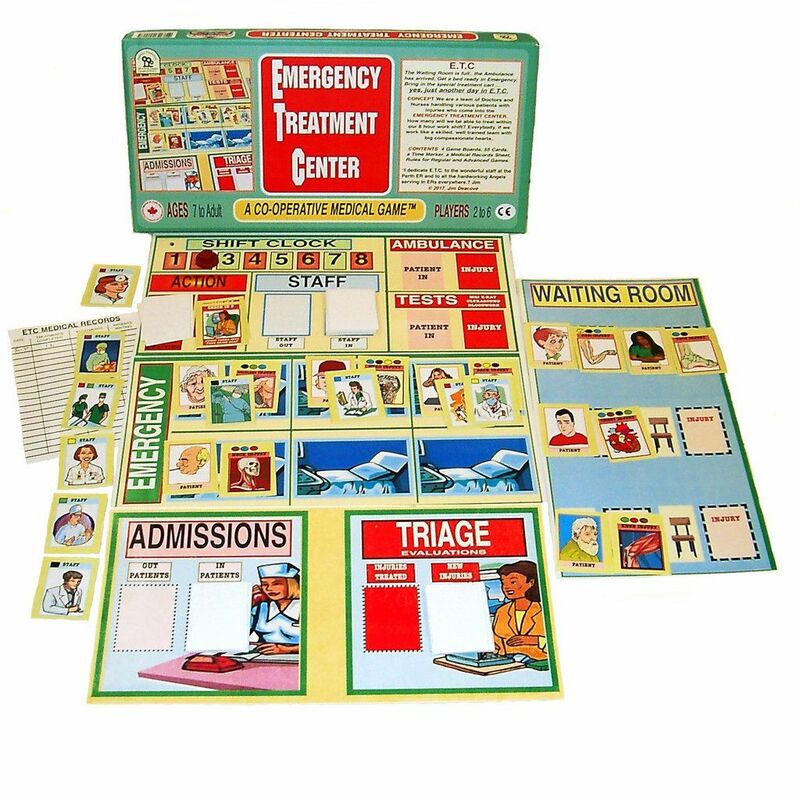 Contents: 4 Game Boards, 55 Cards, a Time Marker, a Medical Records Sheet, Rules for regular and advanced games.